New York (United Nations) – The first UN Ocean Conference, held on June 5-9 in New York, was an opportunity to reiterate the importance of continuing the fight against climate change, President of the 22nd Conference of the Parties (COP22) to the United Nations Framework Convention on Climate Change, Salaheddine Mezouar, said. 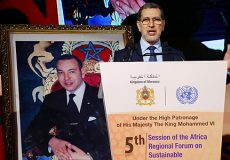 “For the presidency of COP22, this week was an opportunity to recall the importance of continuing the climate action and honoring the commitments made in the Paris Agreement and reiterated in the Marrakech Action Proclamation,” Mezouar told MAP in a written statement. 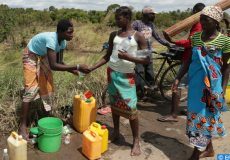 It also made it possible to reiterate the “essential” role of non-State actors, he said, noting that at this meeting “we received a petition signed by 2.5 million people engaged in the fight against climate change”. Mike Bloomberg, former Mayor of the city of New York, pledged to raise 15 million dollars for the UN’s climate body, he added. 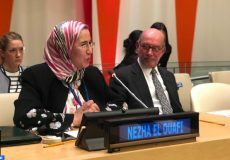 On the sidelines of the conference, Mezouar held talks with Patricia Espinosa, Executive Secretary of the UNFCCC, and took part in a ceremony to celebrate the World Environment Day. The event featured several plenary sessions and round-table talks on diverse issues related to the protection of oceans.